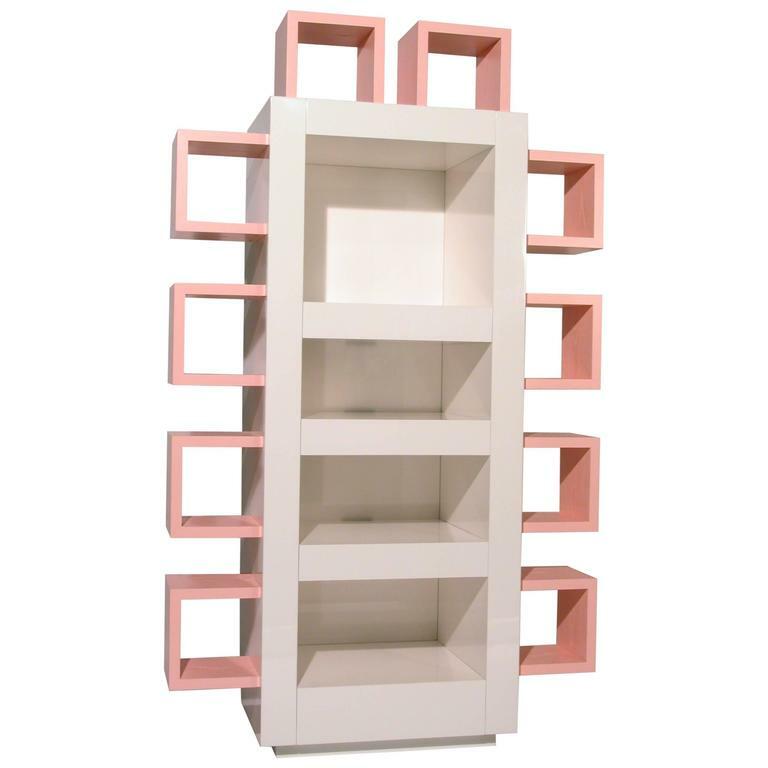 For sale is a brand new pink and white bookshelf by Sergio Mannino from the Memphis Postdesign Show Cento Storie that took place in 2002. (Number 36) Wanted by Ettore Sottsass who was the art director of the gallery at the time the show featured 100 watercolors and 9 limited edition pieces signed and numbered by the artist. Text of the show by Gianni Pettena. Sergio Mannino Studio is a multidisciplinary design firm based in Brooklyn, NY. 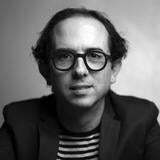 Studio principal Sergio Mannino earned an Architecture degree from the University of Florence and worked extensively in interior architecture with Ettore Sottsass and Remo Buti. 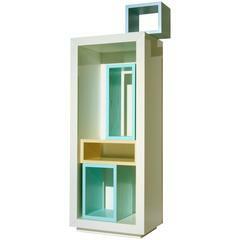 In 2002, he mounted a one-man show of his furniture designs at the Memphis Gallery in Milan. In 2008, Mannino’s “ooo! 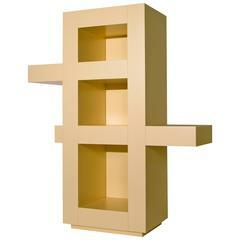 Lamp” was featured at the furniture fair in New York and nominated best pick of the ICFF by Metropolis magazine. Most recently, the Studio introduced the colorful and modular “Non-Flying Carpet” and the “Inside-Out” series at the New York show “Wanted Design” during the NYCxDesign week. The Studio’s work has been published in magazines, books and blogs around the world, including most recently, Wallpaper.com, for a series of lamps inspired by the artist John McCracken. 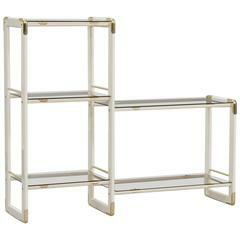 Two heights bookshelf, in lacquered wood, brass and smoked glass. 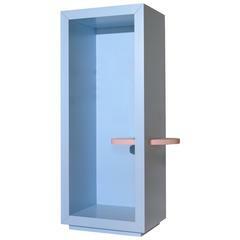 Measures: W: 1.42 cm, D: 37 cm, H: 120/69 cm. 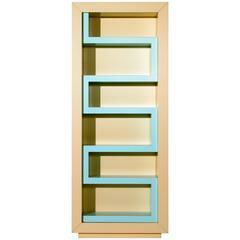 Modern bookshelf is made from solid ashwood. 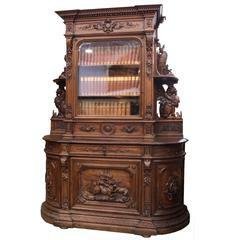 Dimension: 66" W, 16" D, 36 H Finish: Natural ash with semi glossy for structure American walnut with semi glossy shelves. 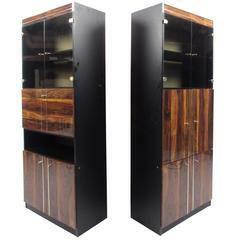 1970s Spanish bamboo oriental style 3-part cabinet, with drawers in the centre piece, and doors on the two side pieces.